As you probably well know by now, bubbles are my thing this year. 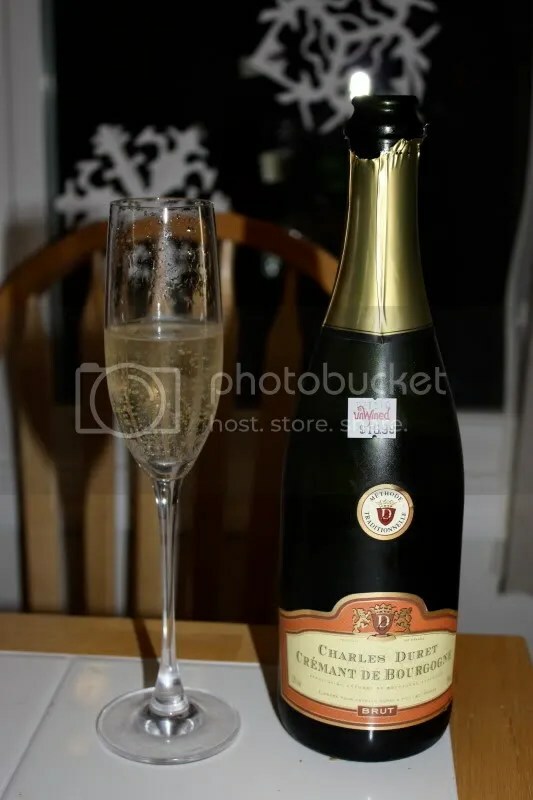 I’m quite happy with the goal I set to drink more bubbly….it’s only March and I’ve had more sparkling wine already than I usually do in an entire year. It’s also been a good way for me to break out of my normal CA reds pattern. While sparkling wines are made in CA, most of the less expensive ones come from from France, Spain, and Italy. I’ve already put out work to Jill at DomaineLA that I need to buy another shipment of bubbles from her and I’ve made two trips to Unwined in the last month just to get more! 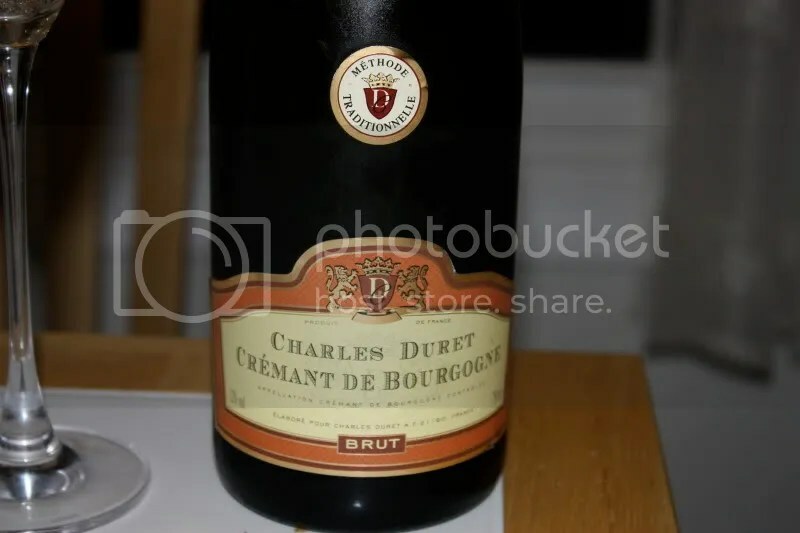 Tonight we opened up the NV Charles Duret Crémant de Bourgogne. It clocked in at 12% alcohol by volume, had a typical Champagne closure, and cost me $16.99 at Unwined. On the nose this was reminiscent of a hoppy beer to me. I got lots of bread, lime zest, tart green apples, lime, and more lime zest. In the mouth I found the wine show very tart citrus, steely notes, more green apples, and just a hint of the bread from the nose. It had lots of tiny little bubbles and we truly enjoyed this bottle. A steal for the price point. My wife would drink sparkling wine every night if she could get away with it. They are such fun wines to open and I am especially thrilled to see people drinking them for no special occasion at all. Keep up the great work! Thats a great article, thanks for writing it. I’ve saved your website and will be eager to reading more!